Next Post Is Everyone Hanging Out Without Me? Please do, my best regards to all!!! I wish there were a “love” button. Like is too pale of a word to express how much I agree with this post! Thank you for writing this. It needed to be said. So very well said. Christmas the day after Hallowe’en is just wrong … but you defined why it matters!! My Dad was a veteran in Italy. Veterans were at the hospital that I worked at. They had lots of problems after the war. 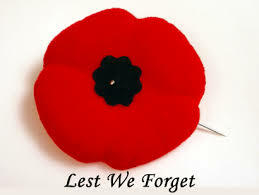 A veteran should be respected and a poppy should be worn for them One day a year is a small thing we can do for them. 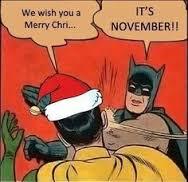 Oh it begins before November… The past few years i see Christmas sales and decorations on and off as early as June! Then October 1st they really pick up steam… and by then i’m already sick of it. All too often receivers are thoughtless returners, and givers are thoughtless givers. >(A “friend” in her 30’s complained that her mother had given her a dozen articles of clothing that just wouldn’t do. “Well, Jane will just have to stand in line all day to return these for something better,” she said. And her mother has a spine covered with bone spurs — it’s agony for her to sand in line, i pointed out. “Well, Jane could just say no,” she dismissed the thought. Christmas has become a season of months and a reason to buy…buy…buy without even thinking of why, why, why. Absolutely we should show our solders and veterans more respect. What’s happening to this country. It’s easier to pretend respect than to actually give it, sadly. Donna, if we honored the real meaning of Christmas our veterans would automatically be honored and our hearts would be full of thankfulness for each one of them. Thank you so much, laldies, for featuring my post in this latest #BloggersPitStop – I wish we could go back to a time when Remembrance Day, Veterans Day, indeed soldiers and veterans where honoured, they cannot even have a day where Christmas is splashed everywhere. I’ve just written a post about Remembrance Day and it is easy to focus on Halloween and Christmas and forget to reflect on how lucky we are to have our freedom because of those who gave the ultimate sacrifice. I just wish they’d wait until at least November 12th to start with the Christmas stuff, out of respect for those who fought, who died for our freedom. Well put Donna. Can we start checking out Christmas Deals after remembrance day though? Sorry to get here so late, Ian, it turned out to be an unexpectedly busy weekend (but not in a bad way) and I’m finally catching up or at least trying to. How has your weekend been? Great, I hope. Thank you so very much for reblogging this, I appreciate it. Pingback: The Blogger's Pit Stop #48 - Welcome to This Competition Week, Enjoy! Thank you for the mention, Danny and wow, I’m in good company, I visited everyone, the dear old blogging friends and made a bunch of new blogging friends. Thank you for connecting us, finding each other in this giant virtual haystack can be difficult.